A climber’s rope is a lifeline, a vital door that opens the way to many vertical adventures. 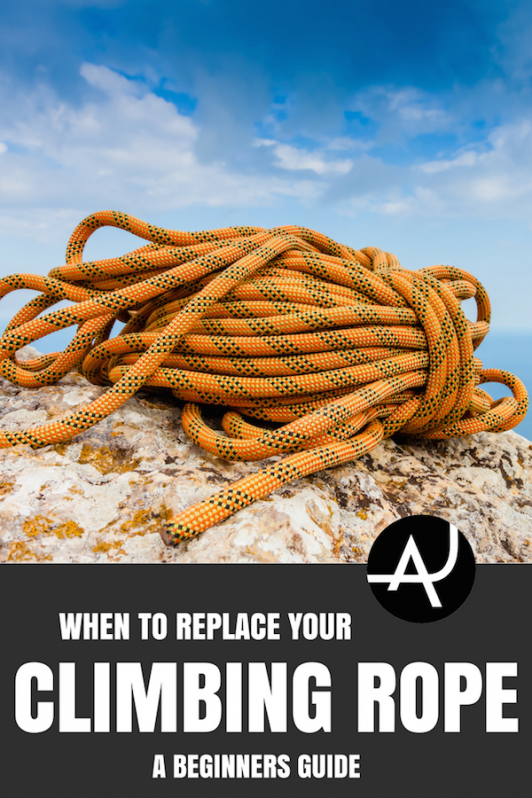 It is so important that knowing when to replace your climbing rope is a question that every climber eventually encounters, and one where the answer that could mean life or death. But how do you know the right time for a new rope or how many times you can cut an old one before it’s time to retire it? One of our big goals here at The Adventure Junkies is to make your life easier when it comes to making big decisions about the most indispensable gear. In this post, we will walk you through rope anatomy and care, how to inspect your rope for damage, how to cut your rope, and when to replace your rope altogether. 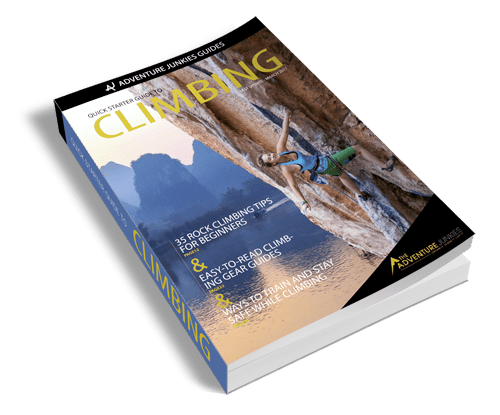 Most rope manufacturers hide their rope secrets as if they were the key to the kingdom of heaven but in general terms, most dynamic climbing ropes are a kernmantle construction. This means it has an interior core protected by a nylon sheath, which adds to the rope’s overall strength as well as protecting the core from abrasion. The core is made of nylon filament and yarn and is tight enough to be strong but loose enough to allow the rope to absorb shock across a greater area as the rope stretches about 6 to 7 percent. Ropes are all rated to UIAA (International Mountaineering and Climbing Federation) standard. Single ropes are tested by dropping an 80kg weight from a height of 7.5ft onto a 9ft length of the rope being tested. With rope stretch, the weight falls about 16.5ft. The force of the weight on the rope is a fall factor of 1.77 – usually far greater than a standard climbing fall. For a half rope, the test is done with a 55kg weight. When buying half ropes, there will be a UIAA number of tests done on one of the half ropes, and a different number for tests done on both of them. The UIAA number for each rope is the number of test falls the rope managed to withstand before breaking. It is not an indication of how many falls the rope can take before breaking but is an indication of general rope strength. A rope can actually endure a far greater number of big falls than the UIAA rating. A rope will also be rated to hold a number of kilo-newtons. One kN is about 225 pounds of force; most single climbing ropes are rated to hold around 9kN, strong enough to hold 2000 pounds. After you’ve been using your rope for a while, you might suspect that it has become substantially weakened. Inspecting a rope is easy if you follow these steps. Look at the sheath along the length of the rope, seeing if there is any significant damage. The rope is still healthy if some of the stitching on the sheath has come loose. A cut in the sheath is generally only noteworthy if it is so large that you can see the core of the rope. A hole in the sheath also occurs after a rope has been subjected to a lot of heavy catches and wear and tear. If you can see the core of your rope through a hole in the sheath, then it is core shot – a sure indication that it is time to cut or replace your rope. Another way the sheath can be damaged is if it is fuzzy. More fuzz generally means greater damage to the sheath and could be close to becoming core shot. If there is a section of your rope that is getting fuzzier, then pay close attention to it and cut or replace it if it becomes core shot. The sheath can sometimes slip from the core. Feel along the length of the rope and if there are spots where you can feel the sheath but very little core underneath, then the sheath has slipped. This will mean the rope is weak in that spot, as the sheath is no longer protecting the core. As your rope wears, it will develop flat spots – signs that the core has become weakened. To check for flat spots, pinch a loop along the length of the rope: the core is still good if the rope holds its loop but it you can easily pinch it into a sharp bend, the core has been weakened. If your rope inspection reveals any weak spots, then it’s time for action. You might not need to buy a new rope, however. Most ropes become damaged at the ends, which take the full brunt of the force from a fall. Often while inspecting a rope, you’ll find a weak spot within the first 15-20ft of the rope end. To cut your rope, find the weak spot or the core shot and wrap a few layers of climbing tape around it. This is where you will make your cut. Make the rope taut, either with someone’s help or by wrapping it around your legs and then carefully slice through the center of the tape around the rope. After it has been cut, use a flame to melt the edges around the new rope end. This will keep the strands of the new end from fraying. Be sure to be aware of the new length of your cut rope, and don’t get on a 35m-long route with a newly cut rope that used to be 70m, but is now 67m. Once a rope is cut, it will normally need more frequent inspection – but if you remain vigilant, you can cut a rope many times and it will still have a good enough core to be safe for climbing. Climbers often keep ropes that have been cut to 40m and still use them at, for example, indoor gyms where the routes barely extend beyond 20m-high. 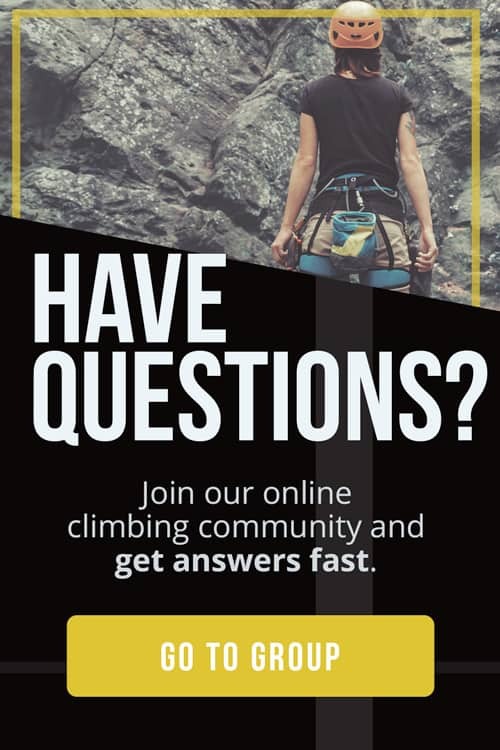 If your rope is not long enough to climb the routes you want to climb, or you have any doubt about the integrity of your rope, then it’s time to buy a new one. Ropes do not last forever, but there are some steps you can follow to extend the life of your rope. A dirty or wet rope is substantially weaker than a clean, dry one. Tests have shown that wet ropes are up to 30 percent weaker, while dirt in the core can weaken it by 20 to 40 percent. Try to keep your rope dry and clean, if possible. You can wash a rope (bathtubs are handy) in water no hotter than 86F and dry it in a cool place away from sunlight. 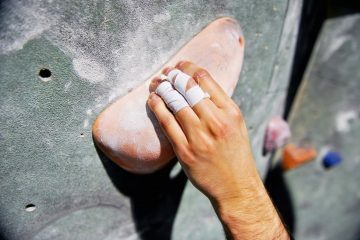 Some climbers use mild soap, not detergent, to wash the rope, but others are so wary of chemicals that they will only rinse it in water, or use rope-specific soaps. Using a rope-bag while climbing can help to keep the rope from collecting dirt. Sunlight is well known to damage ropes, so keeping your rope out of the sun will extend your rope’s life. Store it in a cool, dry place. 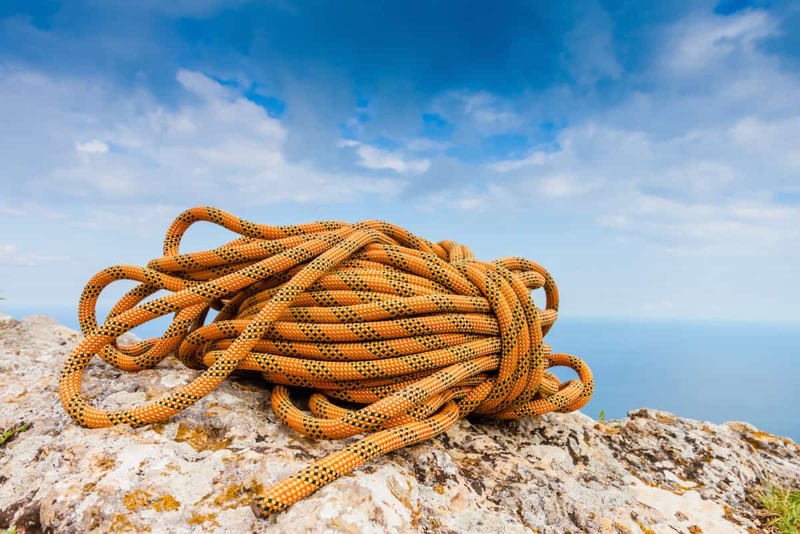 Even if you have a rope that you haven’t used in 10 years, it might still be safe if it has seen little use and been kept away from sunlight, heat, dirt and chemicals. 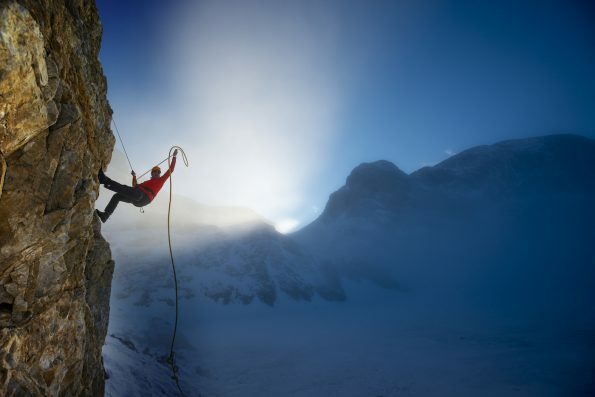 Watch for hazards while climbing, such as a sharp edge that could damage or even cut your rope. Be aware that a taut rope is cut far more easily than a loose one, so make sure that the rope is running smoothly on the rock surface and away from sharp edges – especially in any fall or rappelling line. If you’re projecting a climb and falling a lot, it helps to unweight the rope and use a quickdraw to anchor yourself into protection, such as a bolt. Just clip one carabiner of the quickdraw to the belay loop on your harness, and clip the other to the protection in the rock-face. Once anchored in, your belayer can give you some rope slack. This not only gives your belayer a rest but is also kinder on your rope. Make sure your belayer keeps you on belay. 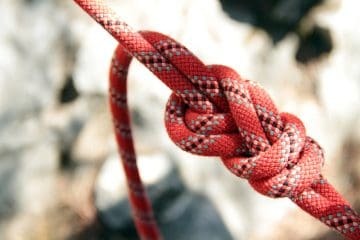 If you’ve been falling on your rope a lot, then switching ends regularly can also help extend the life of your rope. If you’ve been falling on your project and come down for a rest, switch the ends of the rope before heading back up. A rope won’t last forever. 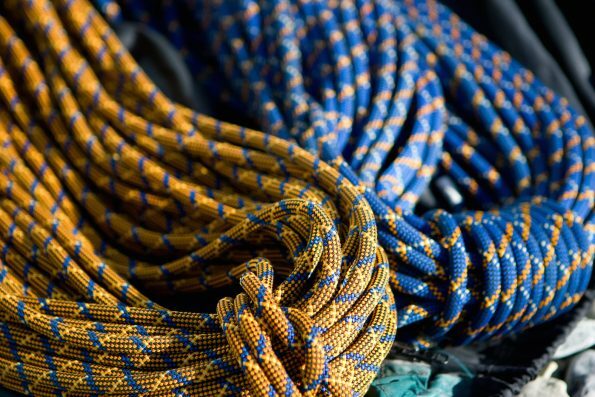 In general, a single climbing rope will be good for around a year of heavy use, multiple times a week. If you’re only using a rope on the weekends and tend not to fall a lot, then it could last two to three years. The general rule is to inspect your rope frequently because a safe rope will save your life, so err on the side of caution. If in any doubt, get a new one. Derek Cheng is a journalist and photographer whose work has appeared in publications in several countries, including the US, New Zealand, Australia, Canada, and the UK. Since he discovered climbing about ten years ago, he has worked as little as possible so he can travel widely, chasing rock faces in all corners of the world - from stalactite-blessed limestone in China, to the alpine granite of the Bugaboos and the Sierra Nevada, to quartzite giants in Morocco. His work can be viewed at dirtbagdispatches.com.